While those wonderful light sabers in the Star Wars films remain the figment of George Lucas' fertile imagination, light mills - rotary motors driven by light - that can power objects thousands of times greater in size are now fact. 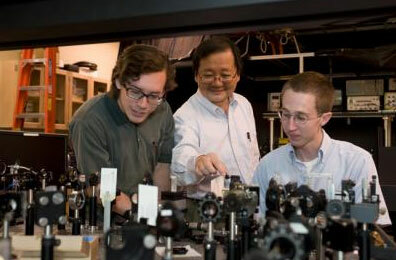 Researchers have created the first nano-sized light mill motor whose rotational speed and direction can be controlled by tuning the frequency of the incident light waves. Despite the growing utilisation of engineered nanomaterials in consumer products and innovative technological applications, there is at present no widely accepted definition of the term "nanomaterial" that is suitable as a basis for legislation on their safe use. Responding to a request of the European Parliament, the Joint Research Centre (JRC) published today a reference report entitled 'Considerations on a definition of nanomaterial for regulatory purposes". Ein neues fluoreszentes Markerprotein haben Forscher um Professor Gerd Ulrich Nienhaus vom KIT entwickelt: Bei dem photoaktivierbaren Protein 'mIrisF'" laesst sich sowohl das Fluoreszenzlicht ein- und ausschalten als auch die Farbe des Lichts von Guen nach Rot veraendern. Empa researchers have demonstrated how they can adjust process conditions to influence the properties of novel plasma polymer coatings containing silver nanoparticles. 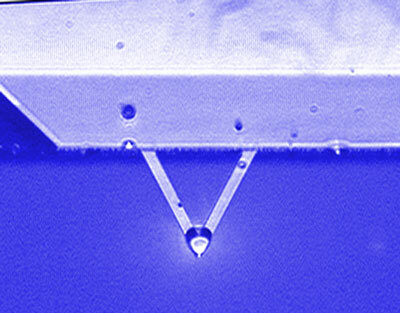 Manufacturing Digital's July issue offers a window into the nanoscale. With comments from Russell Cowburn, Professor of nanotechnology at Imperial College London, and Piet Christof Woelcken, nanotechnology expert at the Airbus Airframe and Architecture and Integration Department, Manufacturing Digital discovers the real power of nanotechnology. Protein-carbohydrate interactions play a crucial role in many biological processes such as cell-cell recognition and receptor-ligand interactions and catalysis. This thesis explores the possibilities of engineering the protei-carbohydrate interactions between carbohydrate-binding proteins and their ligands. A team of researchers at the University of South Australia have developed and patented new technology that allows for enhanced delivery of cosmetics and drugs through the skin. Using super-high pressures similar to those found deep in the Earth or on a giant planet, Washington State University researchers have created a compact, never-before-seen material capable of storing vast amounts of energy. 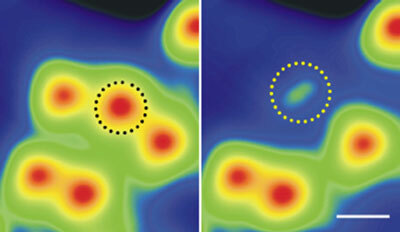 Building on last year's popular webinars on the regulation of nanotechnology, Keller and Heckman and NanoReg are pleased to announce Nanotechnology Today 2010, a series of four new webinars designed to address important regulatory issues and the challenges associated with the safe development of nano-enhanced products. 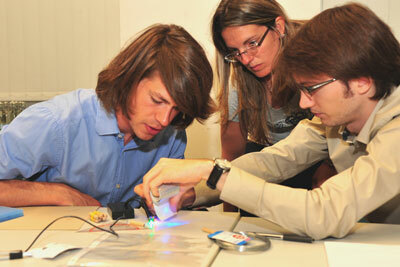 Carl Zeiss hosts the international competition for upcoming engineers. Researchers have built a thermal-powered insectlike robot with hundreds of tiny legs. 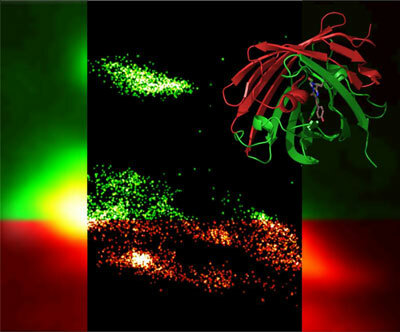 Scientists of the University of Freiburg and the University of Frankfurt have elucidated the architecture of the largest protein complex of the cellular respiratory chain. 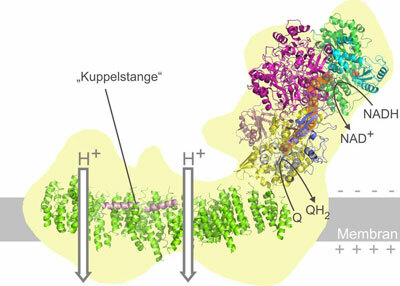 They discovered an unknown mechanism of energy conversion in this molecular complex. The mechanism is required to utilize the energy contained in food.